Dr. Martinez-Wikefeldt knew that she wanted to become a physician since she was an elementary school student. Her unmatched work ethic instilled by her mother, gave her the inspiration to pursue a career in medicine. Dr. Martinez-Wikefeldt choose pediatrics due to the satisfaction she achieves from getting to watch her patients grow from newborn infants to successful teenagers. The top priority of Dr. Martinez-Wikefeldt is to ensure that her patients and their families know that their health comes first. The bond forged between her patients and their families is what brings joy and motivates her to provide her patients with the best care possible. Fluent in Spanish, Dr. Martinez-Wikefeldt has the ability to communicate precisely to those whose first language is Spanish. Close to Dr. Martinez-Wikefeldt's heart is giving back to her community. 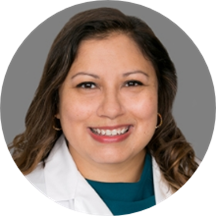 As the attending physician for UCI-CHOC Pediatric residents in their resident continuity clinics from 2003-2017 at the Children's Hospital of Orange County, she helped mentor younger physicians to impart her knowledge to the pediatricians of the future. In addition, Dr. Martinez-Wikefeldt served as a Board Member from 2010 to 2016 of the MOMS Orange County which is a non-profit organization helping mothers and families deliver healthy babies while teaching parents to stimulate strong infant development through screening, education and other support programs. When not practicing medicine, you can find Dr. Martinez-Wikefeldt cooking in the kitchen trying out new recipes. As a big fan of music, Dr. Martinez-Wikefeldt and her husband try to attend live concerts whenever time permits. In addition, she enjoys exploring new countries, hiking and playing with her two cats.